Have you ever heard the expression -- 'Traveling can broaden you're horizons'? Yeah? Same here. But I bet you've never heard the tail-end of this exact same expression -- 'Traveling can broaden you're horizons, as well as inspire you to create a 16th century female Venetian vigilante who's on a mission to avenger her parents deaths'. Now isn't that's a very nice 'foot note'? Huh? It was told to me just the other day, when I spoke to my comic creating pal, Wolf, whilst we were getting sloshed on a gallon of ginger-bear. 1) What are your own origins, Wolf? And what prompted you into becoming a writer? I come from Britain, though in my later years I've been lucky enough to become a bit of a vagabond and to see some of the world. But now I feel like I'm ready to give myself a voice, and out of that creative stew I call a brain, has come Venezia, which I'm fully dedicated towards making the best it can be. I'm not sure I chose to become a writer though. I mean it seems to me that I've always had stories in my head, that I've been writing down lest madness take me. And now one of them seems to have, unfortunately, escaped and made its way into a comic. Sad times. 2) What inspired you to create your comic book, ‘Venezia’? I'd spent two years living in Italy, around its art and culture. 'Venezia' had already occurred to me a few years before, but it wasn't until I had spent that time in Italy that I actually began to feel the story, like a heartbeat growing stronger and stronger. 3) In your own words how would you describe this story? Plus what formats does it come in? With format, we wanted to give readers the option of buying print or digital. We've been able to cover the print side of things via 'Indy Planet', where we're selling it for $3.99. With digital we also using their digital service and 'graphic.ly' for $0.99. Venezia is the tale of a young woman struck by tragedy in her youth. 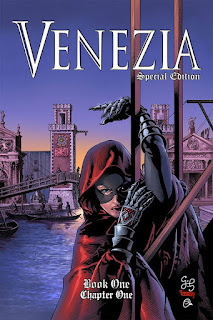 Set in the 16th century at the dawn of Italy's renaissance period, we follow this female vigilante's exploits throughout the city of Venice. Consumed by a mad lust for revenge, she begins to seek out her parents' murderers, one by one, ripping the heart out of each. But as Venezia comes closer to completing her bloody mission, she begins to discover old secrets and questions best left unanswered. 4) If ‘Venezia’ was a piece of music or an object, what would it be and why? 'Spem In Alium' by the 16th century English composer, Thomas Tallis. It's breathtaking vocals somehow connect with me. When I hear the music, I see the death of Venezia's parents, the tragedy of her childhood, the loss of everyone she loves each time she tries to move on. The path towards madness and hate, the road towards revenge and it's cost for the soul. 5) If you could cast a movie based on your creation, who would you cast, and again, why? Well, since Craig did the cover, we've been getting a lot of fans suggesting Natalie Portman for the role of Venezia. I, personally, envisage Stana Katic playing the role to perfection. For the part of Vincenzo Dellamora, perhaps someone like an older Chris Hemsworth, if he could manage an Italian accent. There are a lot of other characters introduced in #2 too, so I can't really comment further on them yet. 6) You have a really great creative team on this book, Wolf. You as the writer. Brian McCranie as the artist. Omi Remalante on colours. Dollman on letters. Heck, you’ve even managed to get Craig Hamilton to illustrate the covers for you. So what I’d like to know is: Firstly, how did this team come together? Secondly, what have you learnt about each other through your collaboration? And thirdly, how did you get your hand’s on Craig? It took a lot of work just to compile this team. I was adamant that I wouldn't do the comic unless I had someone I felt could not only do the characters justice, but Venice herself. I ran a submission contest and Brian won it hands down, out of about 30 applicants. Brian & I then ran two more contests -- one for colors, and one for lettering. E.T. 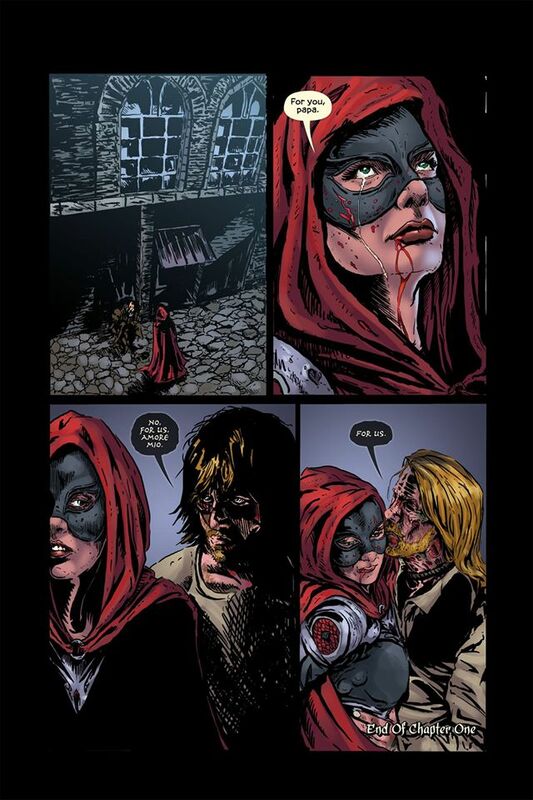 was an easy choice though we ended up parting ways with our original colorist and calling in Brian's colleague Omi. I think that when you start any new creative enterprise, there's friction and discussion over the best direction to take, and the great thing -- from my perspective -- was that everyone had an opinion, everyone felt invested, it's not just another job to them. Having completed our first issue together, we know how to operate smoothly and efficiently to not only deliver a faster release date, but a better quality comic as well. This first issue took us a total of 5 months to produce and its half the size of what will be our typical length -- 22 pages -- so learning how to operate on that level was an important lesson for us. As for Craig, we really lucked out there -- I have to be honest. Getting an artist like Craig Hamilton onto an indie title isn't something that's easy to do. Our luck came in the form of Brian, who is not only Craig's next door neighbor, but his protégé to boot. When Brian presented Venezia to Craig, we didn't even have to ask him if he wanted to do the covers; Craig wanted to be a part of Venezia, he loved the idea of the comic and where it could go. 7) What was the first comic book you ever read? And do you still read mainstream comic books today? I used to live near this little seaside town when I was a kid. I was way out in the boon-docks so getting a chance to come into town was always exciting. I remember this one little bookshop, it had a basement full of cardboard boxes, each one bursting with comics that were just rotting away in the damp. 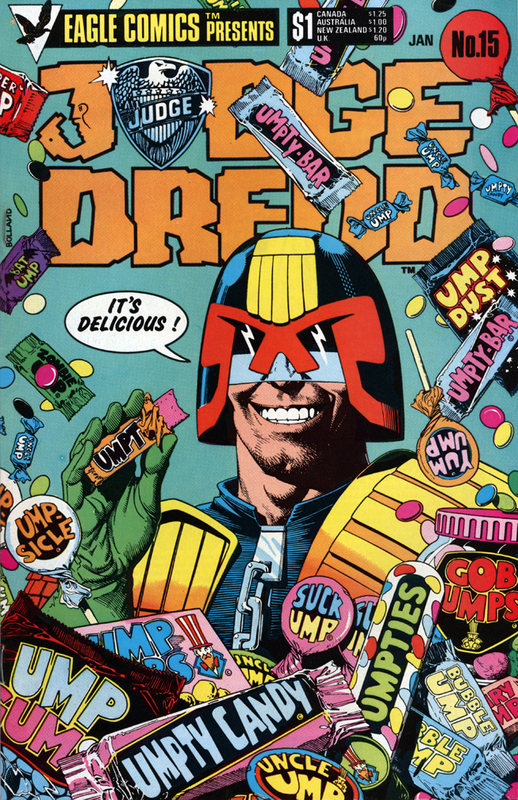 I mean we're talking vintage 'Hulks', 'Fantastic 4's' and 'Judge Dredds', valuable books looking back. I made it my mission to get as many as I could and preserve them. I ended up with a rather large 'Incredible Hulk' collection along with several old 'Judge Dredd' annuals. I've recently gotten back into 'Judge Dredd' -- which I love -- and I'm also working my way through DMZ, which might just be one of the best comics I've ever read. I've also got 'Bakuman & Luna Brothers' waiting in the aisles, along with 'The Walking Dead'. 8) If you could get a well-known personality to promote ‘Venezia’ – either living or dead – who would it be and why? Oh wow! Who's the most famous person on the planet? Kidding. I guess if I really wanted to get 'Venezia' noticed and for the right reasons, I'd go with either Alan Moore (he had the golden touch and transformed Batman into the great legacy it is today), Neil Gaiman (Hello, Sandman - 'nuff said) or a Joss Whedon / Felica Day combo (multiply geek factor by the power of celebrity and genius). 9) During your time as an writer, what is the one thing that has kept you in good stead? The need to tell a story. Imagine a kettle and that if you leave it on a stove long enough, it begins to steam and whistle as the pressure inside becomes unbearable. For me, that's writing. My creativity boils inside me until I feel like I'm going to explode unless I get it out. It's passionate and rough going, but like a seed in the ground, all you need from then on is a little water and sunshine to make it grow. Wow! You sure have a great way with word's, Wolf. So what are you waiting for dear reader? Check out Venezia's facebook page today! Or else grab a copy on the links provided. Trust me. You won't want to miss the next big indie hit.